Chieftans is a gorgeous community, built on what was once the famed Gimbel estate, in Greenwich, Connecticut. The original Chieftans estate was designed by New York City architect Augustus Shepard, Jr. and was completed in 1914 for Alfre Whitney Church, heir to the Borden Dairy fortune. Isaac Gimbel, of Gimbel Brothers department store chain, purchase the 200-acre estate in 1925. Gimbel’s son, Bernard Gimbel, later owned Chieftans. The property was eventually subdivided, and 80 of the original acres were donated to the Audubon Society becoming the Gimbel Sanctuary. Chieftans is comprised of 97 acres and offers twenty-four hour security, in this gated community. Life in Chieftans is referred to as “turn key”. Homes in Chieftans have most every amenity imaginable. Many of the homes in Chieftans feature superb detailing, media rooms, paneled libraries, his and her dressing rooms and the list goes on and on. 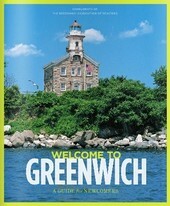 Condominiums, townhomes and single-family homes are the kinds of real estate currently on the market in Greenwich. The average listing price for a condo is approximately $1,494,776 but prices can go to upwards of $4,995,000. The average price for a single-family home is $4,186,926 and prices can reach upwards of $49,895,000. 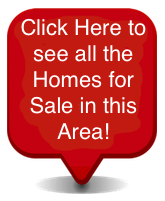 Homes in Chieftans area available in a wide variety of sizes and styles. Many are the classic stone and shingle manors, typical of the Georgian style prevalent throughout New England. Contact us today to answer any questions or to schedule an appointment to see any of our properties in Chieftans or any Greenwich, Connecticut community.